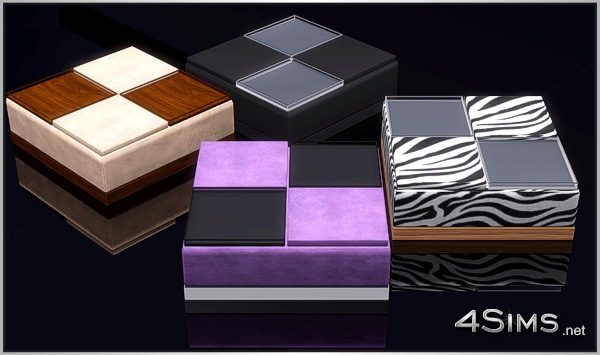 Is fun, is versatile and looks great in any design, Ottoman coffee table with 2 decorative trays. New custom mesh, base game compatible, 3 recolorable zones, 4 styles included. Wow, lovely, very unique coffee table , just perfection. Thank you so much!!!!! You made my day, thanks Judy! 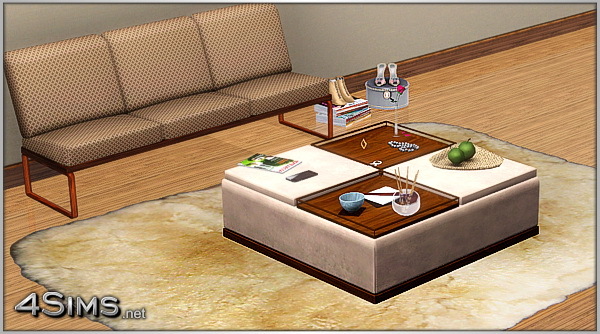 Not for sale, it’s a virtual custom content for The Sims 3 game.